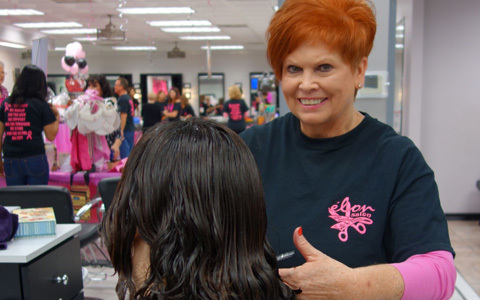 For nearly 30 years, elon Salon has been the premier hair color specialty salon in the Atlanta area. We take great pride in our profession and ability to provide the very best hair styling services and products available. Our commitment to continual education and successful results gives us the technical skills and knowledge to make you look and feel your absolute best. At elon Salon, we’re all about You. The main objective at elon is to have each client obtain a beautiful, individualized style that flatters their physical traits, works for their lifestyle and reflects their personality. In order to get these results, we provide a Complimentary Consultation at the start of each appointment. Since every client is unique, it is important to gain perspective into their wishes and lifestyle. Skin tones, eye color, hair type and facial structure are all considered and discussed. elon considers this communication time the single most important facet to a successful outcome. 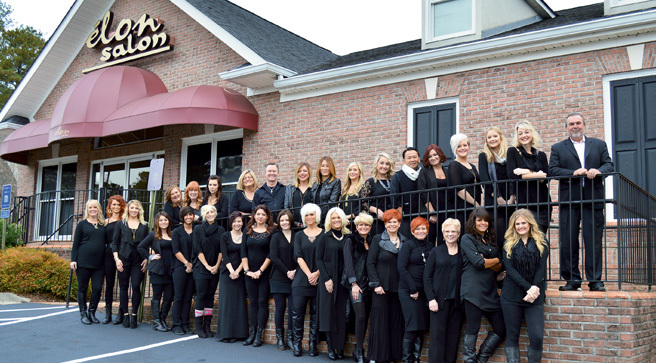 The staff at elon takes great pride in the atmosphere they create within the salon. They want you to feel comfortable and at home, free to relax and enjoy this time for yourself. While you are waiting for your appointment to begin and throughout your visit, you will have access to complimentary snacks and beverages, as well as a variety of hair fashion magazine and style books for you to enjoy. Great care will be taken to protect your clothes during your visit. Above all, you will be treated with the utmost respect while we work to make you more beautiful. For elon Salon, education is the pivotal factor for exceeding expectations and surpassing standards of quality. 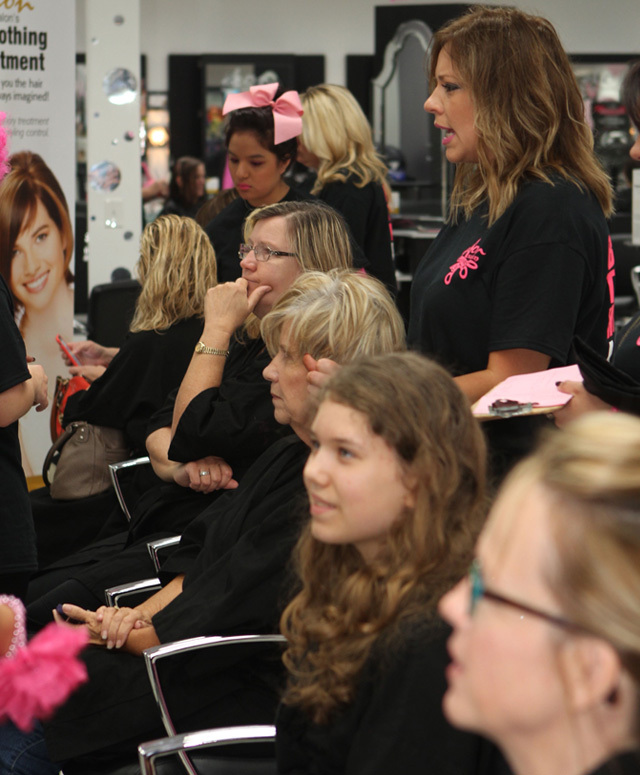 With an ever changing world of fashion, education is essential in creating hairstyles that are always evolving. In their pursuit of excellence, elon’s stylists have traveled extensively to such destintions as London, Milan, Paris and New York, investing a considerable amount of time, energy and resources to further their knowledge of fashion trends, color methods and cutting techniques. 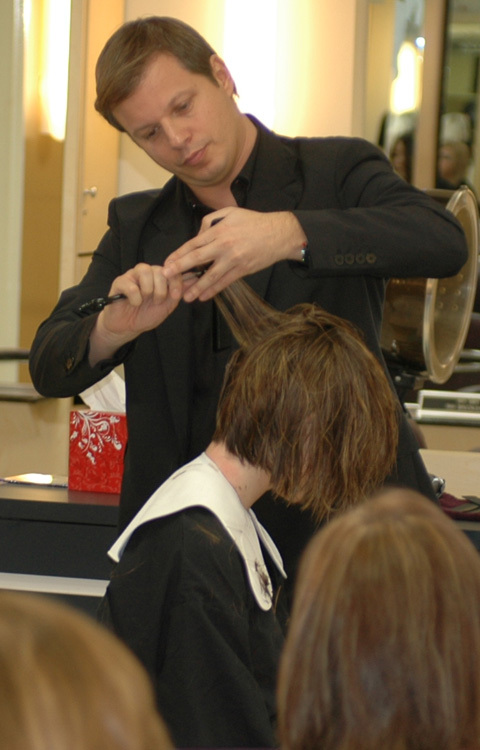 Guest educators routinely elevate the level of excitement found in the continuing education classes at elon Salon. Recently elon welcomed world renowned hair fashion educator William DeRidder (above left) for a two-day intensive training class and photoshoot. Widely considered Europe’s top educator, Mr. DeRidder’s cutting and styling techniques are highly acclaimed and sought after. His common sense approach to cutting is an excellent tool to be added to every élon stylists extensive hairstyling knowledge. Instruction like this allows our stylists to expand their creative boundaries and provides them with greater versatility in individualizing each client’s style to completely complement their facial shape, facial features, and hair texture. Celebrity stylists, like Fabrice Gili (above right and far right) of Frederic Fekkai Fifth Avenue, are brought in to instruct on topics they are renowned for, which in this case was cutting techniques. Fabris a creative director for Frederic Fekkai’s salons and a lead Trainer for the entire Fekkai staff. Besides studying under some of the most influential stylists of our time, such as Serge Normant, Odie Gilbert, and Michael Aleman, Fabris boasts a long and impressive list of celebrity clients, like Scarlett Johansen, Sigourney Weaver, Kristen Davis, Naomi Campbell, Raquel Zimmerman, Elle Macpherson and Selita Ebanks. Even with his significant credentials, his most impressive ability is being able to connect with his audience, allowing them to get inside his thought processes. This allows them to make better use and application of the knowledge they receive. The work of elon’s stylists has been consistently featured in numerous industry magazines, making the cover on several occasions. Applauded by their peers and adored by their clients, elon’s owners have achieved celebrity status within the industry for their innovative colour techniques, masterful artistic presentations and client attentiveness. The owner of élon Salon proudly accepted an invitation to join Intercoiffure in 1982. 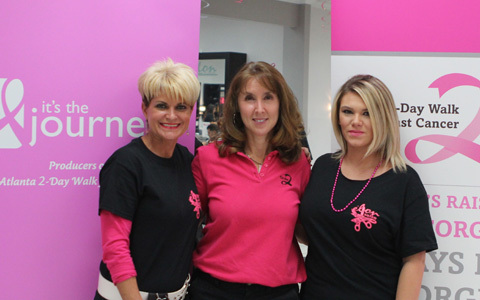 Since then, this membership has allowed them to share ideas, techniques and friendships with other top salon owners from around the world. Widely regarded as the world wide authority on hair fashion, Intercoiffure Mondial is an elite organization whose membership includes the best of the best in the hair fashion industry. Membership into Intercoiffure is by invitation only, and is offered to the top salon owners globally who also display the highest ethical values, a willingness to share with fellow salon owners and are committed to providing their staffs the highest level of education. 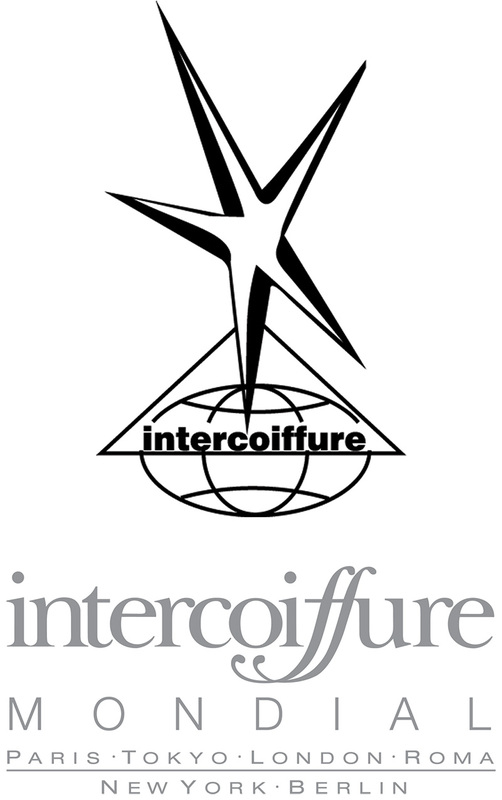 Intercoiffure is dedicated to pushing the profession and business of hair artistry forward to the highest levels by providing opportunities for members to learn from and collaborate with their peers from all over the world. Annual meetings and Ateliers, as well as quadrennial World Congresses offer ample social interactions for establishing relationships that encourage substantial professional growth. In addition, these events also host numerous educational presentations that keep members at the very forefront of the industry. Members are chosen to contribute to the multiple hair fashion trend photo shoots that showcase the upcoming seasons hottest trends and are released to the international press. To insure the future success of the industry, Intercoiffure has developed the Foundation Guillaume that fosters the younger, up and coming talent. Overall, Intercoiffure is a socially conscious alliance that is dedicated to the preservation and future of excellence in hair fashion. —the highest honor bestowed upon a member of ICA. Presented by ICA, Intercoiffure America, this award recognizes members who display outstanding leadership in fashion presentation, fellowship and business excellence. Being a part of something bigger than ourselves is what makes us stronger. We strongly believe in giving back to our community that has supported us and helped us grow over the past 27 years. We have always participated in a variety of community events, but about ten years ago, we decided we needed to do more. 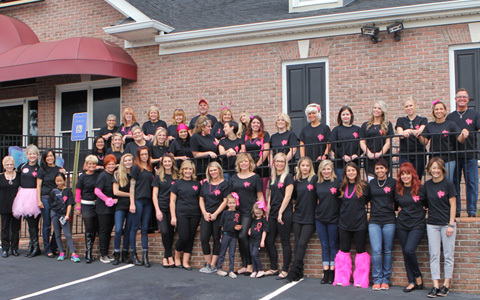 As a salon, we have witnessed first hand the devastating effects of breast cancer. Almost everyone we know is related to or knows someone whose life has been affected, or interrupted, by this disease. 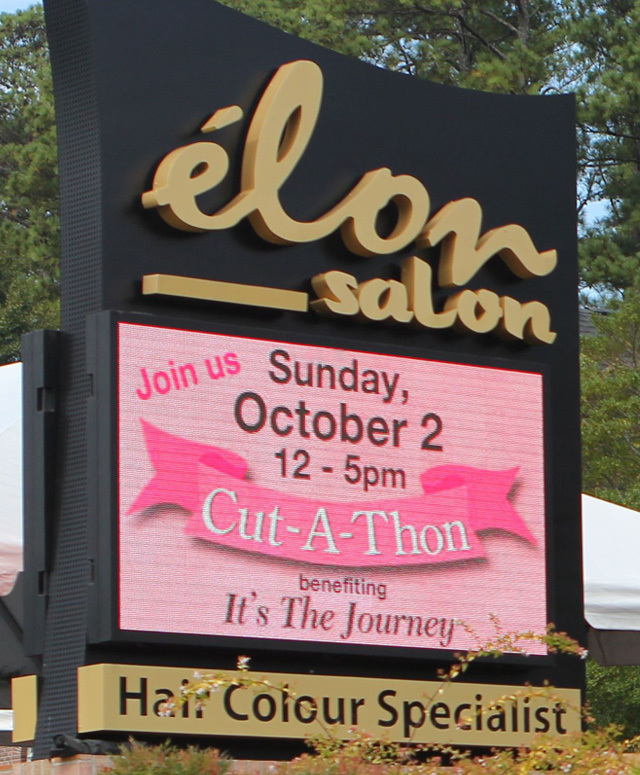 So the elon Salon Cut-A-Thon was born. Now in it’s second decade, this annual fundraiser has raised over $150,000(? ), with the main beneficiary being It’s The Journey. It’s a great opportunity for everyone to come out and enjoy good food, live music and of course, lots of beautiful hair. We truly love our community, and look forward to being a part of it for many years to come. When I first came to elon, my hair was a total wreck from letting a friend just out of beauty school color it. Lisa was fantastic and fixed my hair! I appreciate talking over what the possibilities are for my hair during the consultation. I know that there will never be any surprises when we’re finished and that my hair will always look great. I transferred over from another Salon about 7 years ago and couldn’t be happier. I love Janice and everyone at elon Salon. It’s fast and I’m spending half the amount of money! I love the products at elon too. Thank You. I have been coming to Elon Salon for over 15 years and I would never go anywhere else. They always make me feel at home and I leave happy every time.